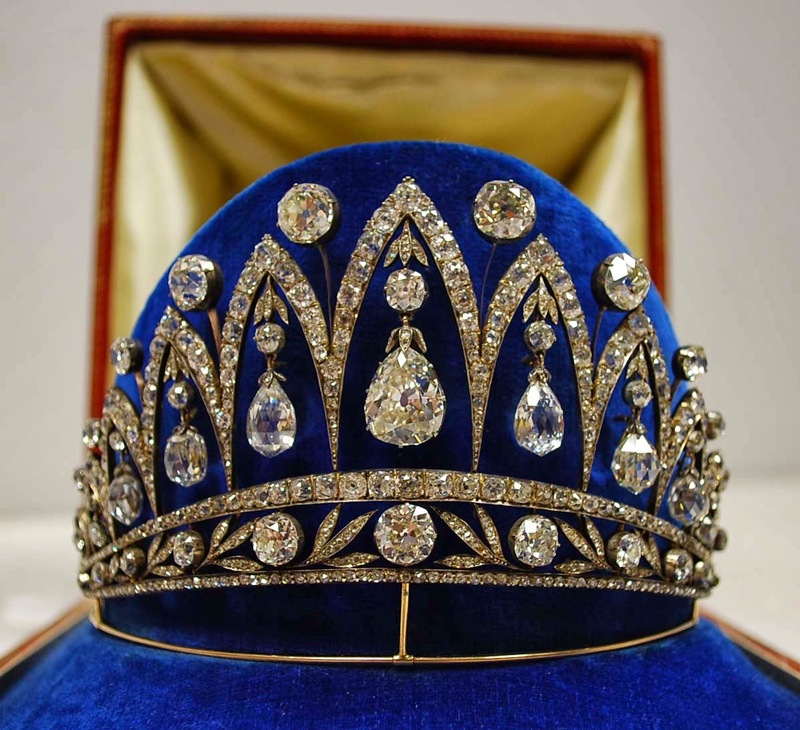 Creation: This tiara was made by August Holmstrom for Faberge circa 1890 using briolette cut diamonds that were a gift to Empress Josephine from Tsar Alexander I of Russia when he visited her at La Malmaison following her divorce. 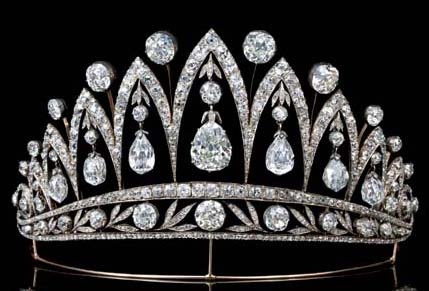 The tiara was sold by the Leuchtenberg family following the Russian Revolution. Was this tiara commissioned by George Macimilianovich, 6th Duke of Leuchtenberg for his second wife Princess Anastasia of Montenegro? 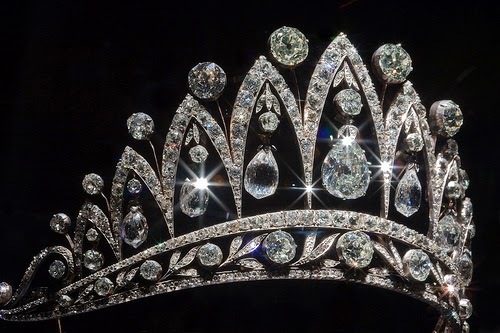 Are there any pictures of this tiara being worn?